One luxury in life that most people dream of being able to do at one point or another is taking a flight in business class. If you have been on a few flights over the past few years, you will know that flying in economy class, especially if you are on a long-haul flight, can be an absolute drag. You won’t have much leg room at all, and you might feel like you and your fellow passengers have been crammed into the aircraft. Not only that, though, but your food and drinks aren’t likely to be included in the original price, and you will often buy these extra which can really increase the cost of flying. If you are completely sick of economy class, why not treat yourself to a flight in business class? You will be super impressed with all the extra space and legroom, and the customer service in this part of the plane is second to none. Not only that, though, but there are some extra perks that are available for all business travelers! If this sounds like the way you’d like to travel on your next vacation, it’s worth reading on for some handy business class tips for all first timers. Firstly, it’s always best to fly with a reputable airline for your first time in business class. They will really know how to spoil their customers, and you will be really wowed by the service! These big airlines often have plenty of room in their business class section. Take a look at sites like Just Plane Tickets to find out which are the best airlines to book with. Some smaller airlines aren’t able to put in as much effort to their business class seats, and you might find that you are only in regular seats and separated from economy by just a small curtain. That will be a big disappointment for your first time in business! 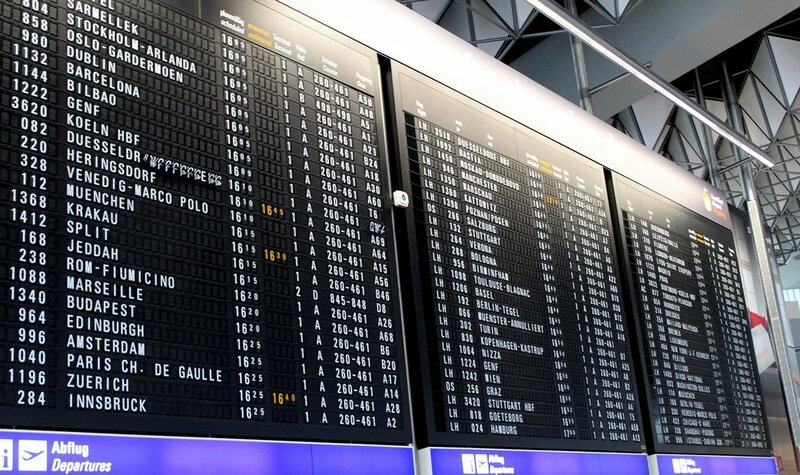 Usually, when you are flying somewhere you might not want to get to the airport too early as you will only wait for a long time if you get through security early. However, when you are flying business class, it can actually pay off to get past security in plenty of time. That’s because you will be able to enjoy the airline’s exclusive lounge for all business and first class ticket holders. You’ll be able to relax in the lounge away from all the hustle and bustle in the rest of the airport. Not only that, though, but you will be able to enjoy some free snacks and drinks, and will be called to board before all of the economy passengers. Many of us think that traveling in business class is going to be an extremely posh affair. However, this doesn’t have to be the case. Sure, there might be some well-heeled travelers onboard with you are are in their smartest clothes, but there is no reason for you to dress up as well. The majority of airlines don’t have dress codes for their business and first class sections. So, it’s best to wear whatever will make you comfortable for the whole of the flight. If that means wearing a tracksuit, then so be it! One of the major perks that business class travelers get to take on more carry-on luggage with them. When you travel in economy class, you will probably already know that the airlines can be very restrictive with how large your carry-on can be. This isn’t the case when you are in business class, and you will even be allowed to take on a couple of extra bags with you. Plus, you will get to check-in a larger and heavier bag into the hold. So, you might as well take advantage of all this extra luggage you can take with you. You could even take an empty bag with you so that you can bring back more souvenirs and treats with you from your vacation! Light snack service on a 1hr domestic flight between Cebu and Manila. When you are waiting in the airline lounge to board the flight, it’s your chance to mingle with your fellow business class passengers. That’s not the only chance you have to be sociable, though. You can also make conversation with whoever is sitting next to you. You won’t be sitting right next to them as you would be in economy, but you should still be close enough to have a chat. Chatting with your fellow passengers gives you the chance to introduce yourself and break the ice. As well as that, it will also pass the time a bit. You will be offered a lot of freebies once you get comfortable in your business class seat, and it’s really worth taking all of them as they can help you enjoy a comfortable flight. For instance, a flight attendant will probably pass through the business class area and offer you an eye mask and blanket. These will come in very useful if you want to try to sleep! As well as that, you will also be offered plenty of drinks and snacks as well as one of two main meals depending on the length of your flight. Even though you might be very excited for your first ever trip in business class, it’s still highly advisable to try to get some sleep during the flight. This is crucial if you are on a long-haul flight as getting enough shut-eye can help you reduce jet lag. Thankfully, your seat in business class will be roomier and comfier than the seats you are more used to in economy class, so you should find that it is actually quite easy to have a snooze in business. I’m sure that you will really enjoy your business class flight. In fact, you might never want to go back to economy again!